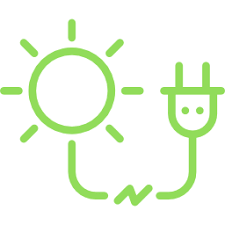 One of the reason you might be searching for a new electricity supplier on Money Pug is that you might be considering a switch to green electricity. Choosing green electricity pay cost you more (but not necessarily), yet choosing to transfer to using renewable sources of power is one great way to reduce our impact on our precious planet. On this planet we have abundant natural resources in the form of heat and light from the sun, in the wind and rain of our weather, in heat from our planet’s core and in the tidal power that comes with the waxing and waning of the moon. Each of those is an energy source that is renewable, it provides energy from a source that continues, rather than running down supplies of something that will run out. Green energy is simply energy that is supplied from one of these renewable sources. There are several different ways in which we can harness the power of the sun, as both heat and light. Photo voltaic systems are coming down in price and many consider this to be the most important factor in generating enough power for our global energy needs in the long term. Solar panels can also be used to pre-heat water for washing, so lessening the load on electrical systems in a home. Wind turbines are springing up in increasing numbers in various locations all over the world. Where it is windy, wind turbines can harness that power to create more electricity for a community or individual householder’s needs. Wind turbines have been criticised in the past for having a greater carbon footprint due to manufacturing and transport than they should but designs are swiftly improving, as is the storage capability of wind and mixed-renewable systems. Hydro power can be another possible part of the puzzle as we harness the potential in water and turn that into electricity in a number of different ways. Tidal power systems, an emerging field, are also showing that they have their part to plan in our necessary global switch to renewables. Another field being explored and utilised in various countries around the world is the use of heat beneath the ground to power plants or heat homes and businesses. Again, this is a renewable resource not one that could run out. 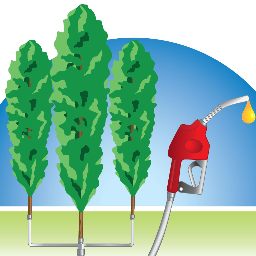 Using, indirectly, the power of the sun and the rain to make plants grow, advanced biofuels take waste biomass (natural materials) and the by-products of other processes and turns them into a fuel to power a car or another vehicle. This is another field where advances are being made all the time. It is important to check out your green energy supplier’s fuel mix because there are different shades of green. Some green electricity packages will include nuclear power as well as the eco-friendly renewables, for example, even when they do not use fossil fuels. 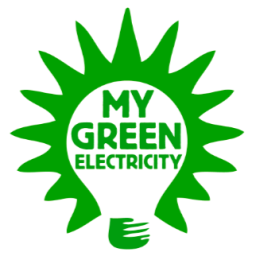 How Do I Know Whether I am Getting Green Electricity? Since 2005 it has been a legal requirement for every energy supplier to provide a breakdown of the mix of fuels used to produce the electricity it supplies. You will be able to find information regarding the mix (in percentage terms) for each and every electricity supplier. They must also by law provide details of other environmental information, related to the generated CO2 emissions and levels of radioactive waste generated. Reading this information can help you to understand the true cost of the electricity you use in your home. 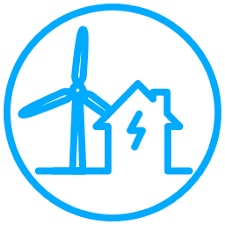 Bulb, Ecotricity, Good Energy, and LoCo2 Energy and OVO all offer electricity deals with 100% renewables, while other green tariff deals can be found with differing renewables percentages. Will I Pay More If I Choose a Green Energy Tariff? In the past, it used to be the case that green deals always cost more. That is changing. Green tariff deals are no longer an expensive luxury for those who can afford to pay more for their principles. 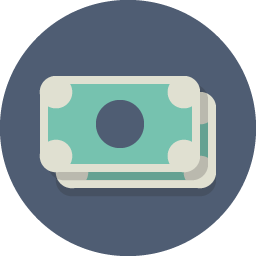 Shopping around for green deals on Money Pug, you can often discover deals that allow you to save a lot of money on your electricity bills, especially if you are switching from one of the big six energy suppliers to a smaller company. Will Choosing a Green Tariff Change Where the Electricity Actually Comes From? It is important to remember when considering a green tariff that the electricity coming into your home will still be supplied by the national grid. The current percentage of renewables in the UK’s national grid varies over time. Over the last year, it fluctuated between 5.34% and 48.21%, with a daily average output from renewables of between 2 and 8.12 GW. The amount of renewables in the national grid is increasing year on year, yet it still falls far short of the ideal of 100% renewables. The electricity that you receive will be the same – with the same percentage of renewables as the National Grid at any given time. But the more people switch to a green tariff, the more money will be invested in renewable power generation and the more green energy there will be in the national supply. Energy companies will invest in green power generation to a certain degree each and every time you pay into a green electricity deal. So when you choose a green tariff, you are not just doing your part for your own interests, you are also benefiting everyone else. Rather than perpetuating a harmful and polluting system, you are channelling your hard earned money into something that will help to make the world a better place. Whether you are saving money or not, that is really something to feel good about.